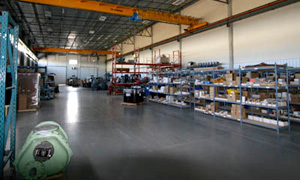 Bidell’s Parts and Service group is your on-call, on-site technical support team. With branches across the WCSB and the North-western USA, we are here to meet all your trouble shooting, maintenance and warranty requirements. Our factory certified technicians are available 24/7 for your after hours needs. We offer a component exchange program to reduce on-site down time and lost production. Stock exchange components include Caterpillar and GE Waukesha gas engines, as well as Sullair, Frick, Kobelco and Howden screw compressors. All exchange components are rebuilt to OEM specifications, and come with a one-year warranty. Bidell is proud to be a Platinum Power Packager with GE. GE’s Gas Compression Power Packager Program provides eligible gas compression packaging companies with factory-direct access. This program is designed with end users customers in mind: to provide faster, excellent services in growing oil & gas spaces around the world.